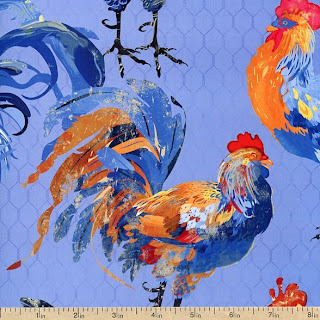 The rooster is a classic symbol of the country kitchen, and this curious creature can be found on dishes, cooking utensils, textiles, and just about anything else you’d place on a counter top! 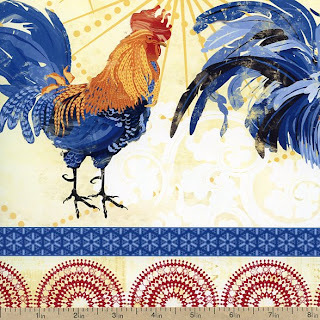 Bright and Early, a collection licensed by Wilmington Prints, celebrates this cultural icon in style! 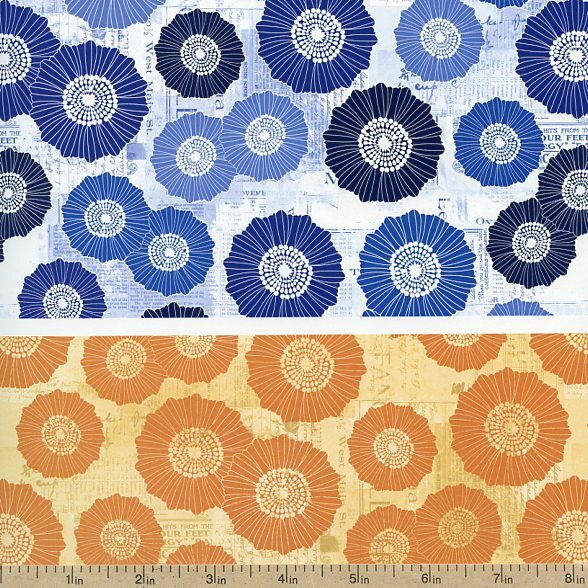 Throughout this line of fabrics, bold morning colors about: sunrise orange, bright yellow, and dawn blue are the uniting hues of this cloth grouping. On each material in this collection, lines are rendered smoothly, creating a clean, contemporary look throughout. An animated, colorful rooster also graces the materials of Bright and Early, and its feathers are of a painterly texture. Coordinating prints feature chicken-wire fencing and bright sunflowers against a textured backdrop. 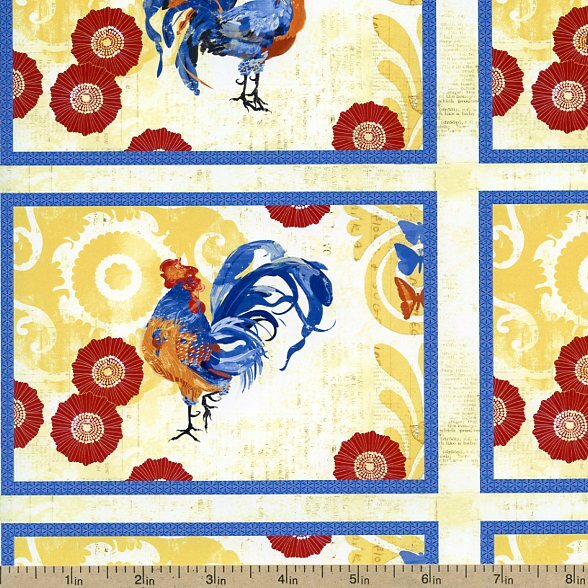 For a kitchen fabric that will brighten things up and breathe life into your daily routine, Bright and Early is your textile arrangement of choice! 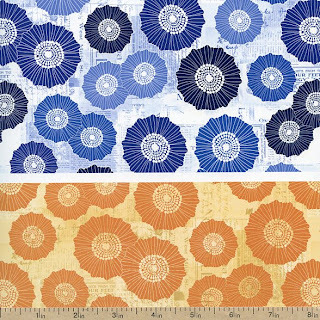 Select your favorite fabric and order a few yards of it to complete a specific project, or grab a little of each and create a quilt or set of decorative items! Beverly’s online fabric store is pleased to offer this collection to you at a discount price.